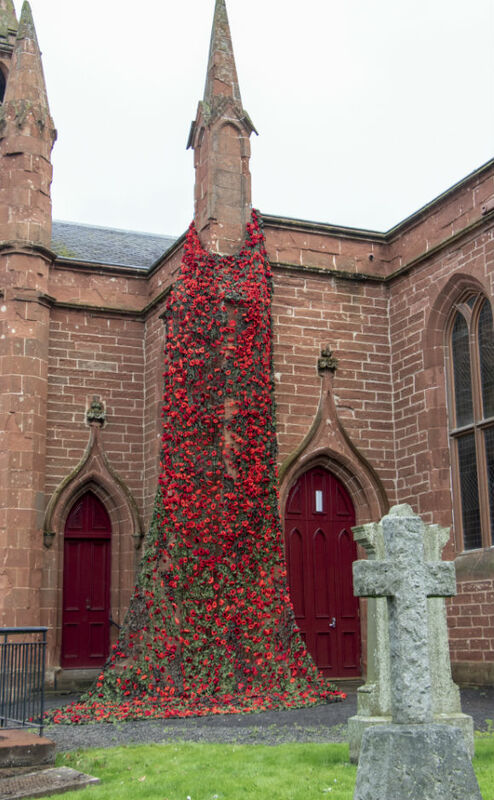 A Perthshire church with ties to the armed forces past and present will mark 100 years since the Armistice with a poignant display of poppies. 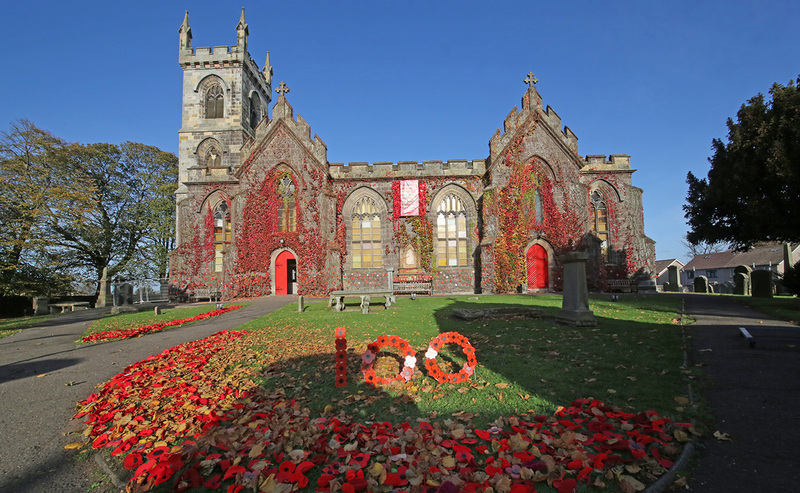 Inchture Kirk, which is around 9 miles west of Dundee on the banks of the River Tay has been covered in 3,000 poppies carefully handmade by members of local parishes. 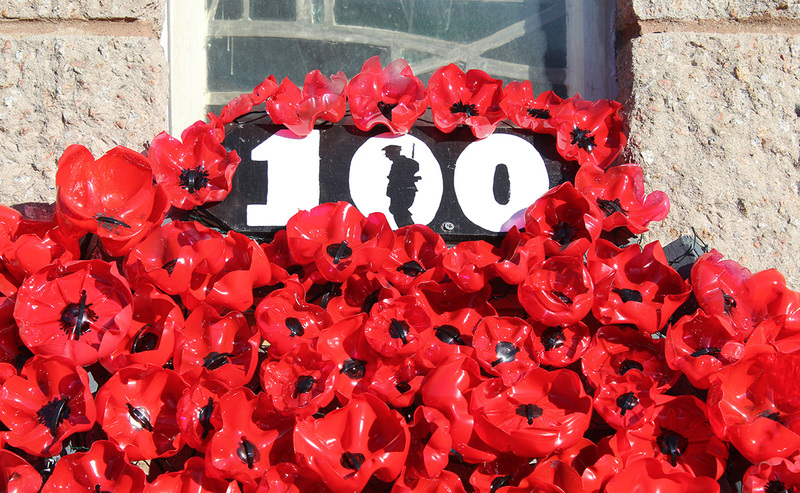 The building, which dates from 1891 but has origins going back nearly 900 years, also has a further 1,000 poppies inside. 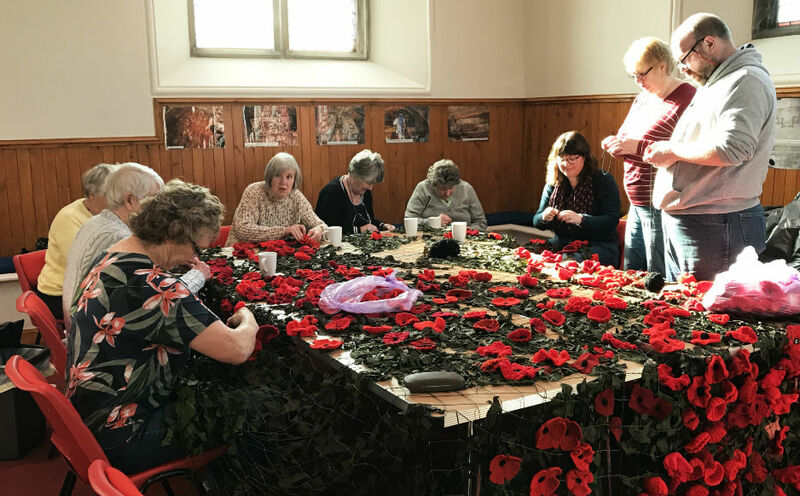 Despite the small size of the community, both the minister and a member of the congregation have recent experiences of war which has added a personal angle to the project. 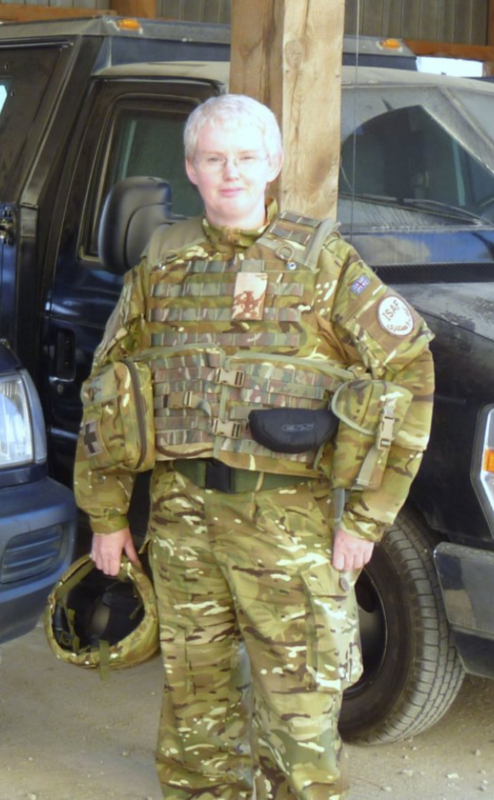 Rev Dr Marjory MacLean, who will lead the service of remembrance at the war memorial in Inchture on November 11, spent several years as a chaplain in the Royal Naval Reserve and served in Afghanistan. 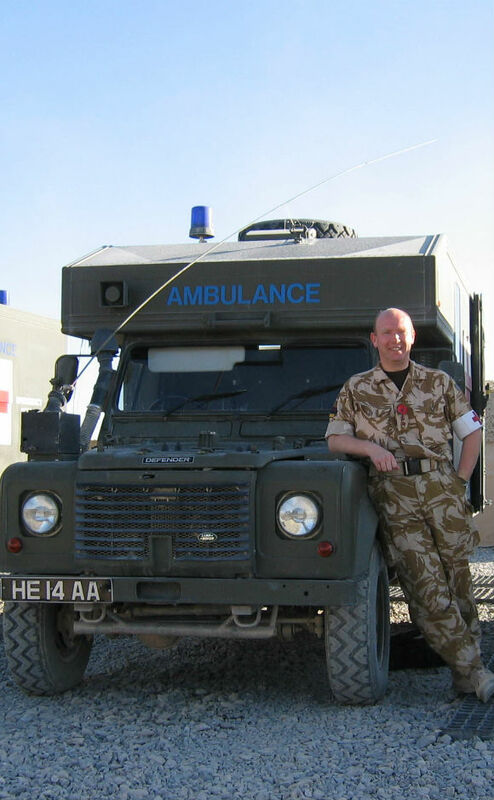 Dr Ian Mellor, who came up with the idea for the display, is a consultant at Ninewells Hospital who has also served as a medic in both Iraq and in Afghanistan. 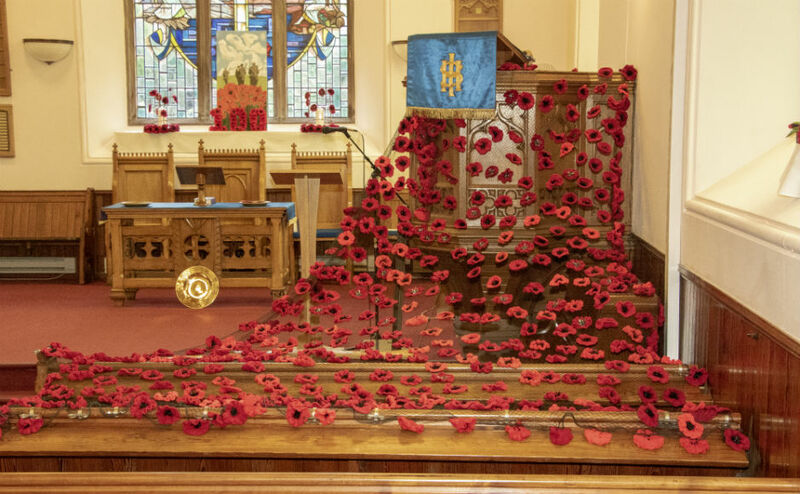 Dr Mellor said he was inspired by the "spectacular" display he saw at another church last year and suggested that the congregation at Inchture could do something similar despite being a "tiny church". "It's 100 years since what we hoped would be the war to end all wars", he said. "I thought we should recapture this hope." "We've only had one year since that time when our forces have not been involved in a conflict." "WWI was the first industrialised war - it was so much worse than anyone imagined. "In my mind it's a chance for people to pay their respects." He is pleased that the village, where 24 names appear on the local memorial from World War One, has "responded very positively" to the project. Dr MacLean also emphasises the personal nature of the display. "I was in Afghanistan so there is an awareness of this in the area", she said, adding that the display has "captured our imagination". For a small village congregation the scale of the display reflects a massive local effort involving neighbouring churches in Abernyte , Kinnaird and Longforgan who are linked to Inchture. 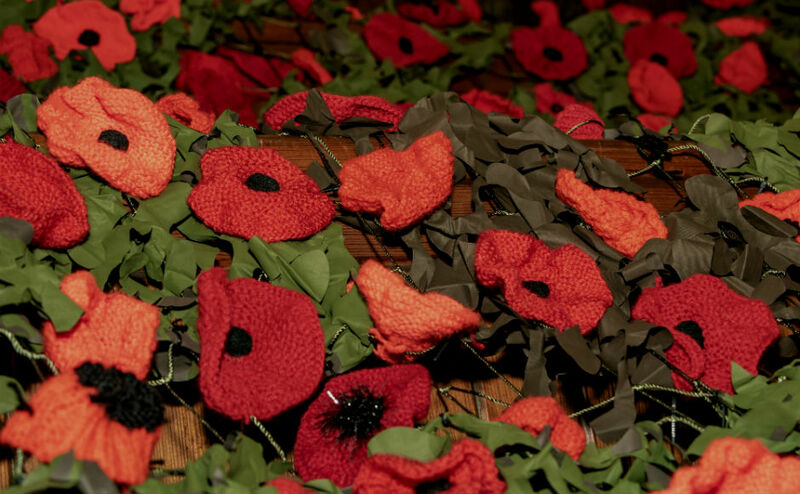 "We thought we might get a few hundred poppies - we now have 10 times that," she said. "Our flower convener, June alone, has made nearly 1,000 for the inside of the church. "It's taking a team of people days to attach these to their nets." The church will be open the weekend of Saturday 10 and Sunday 11 for people to see the display - Two local schools are seeing the display on the Friday before, which Dr MacLean feels is particularly important. "I think that will be something significant to remember as a child", she said.